Although I’ve been writing on the internet since 2002, publishing an ebook for Amazon was brand new to me. 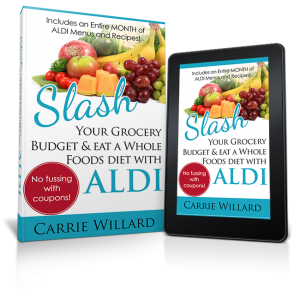 The process was initially intimidating, but I learned how to publish an ebook for Amazon Kindle and went on to write 6 ebooks for the Amazon marketplace. It isn’t as difficult as you may think. This is my simple tutorial. 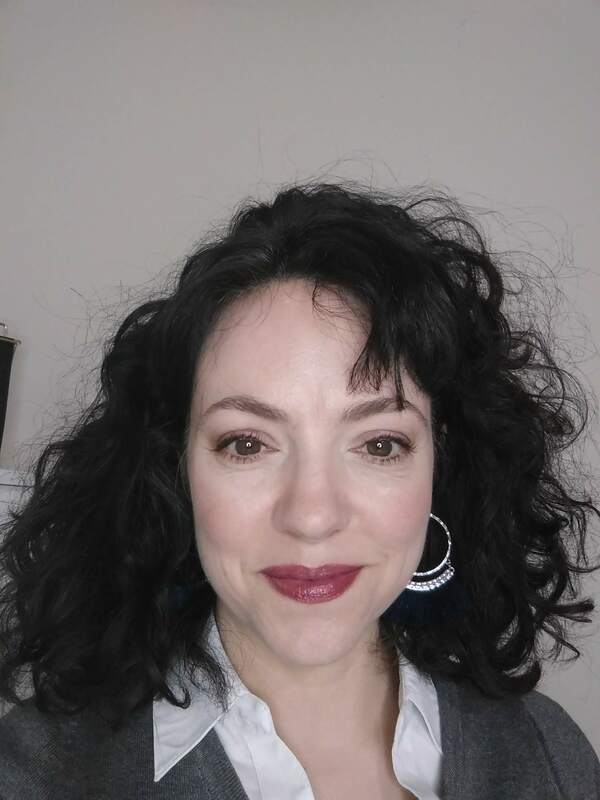 Why publish an ebook? Why is this a great opportunity for a mom to earn money from home? I don’t even own an e-reader, but I’ve bought dozens of ebooks over the years. And I know that ebooks have not reached the peak of their popularity. For most people, the idea of an ebook is still somewhat new. My husband is a huge reader, but he bought his very first ebook only in 2013. Now, he buys them monthly. There is huge potential! I’ve long said that everyone has a book inside them. Everyone I know has a body of knowledge about something that they could turn into a book. Have you considered writing a book but don’t want to go the traditional route with a publishing house? Want to leverage the power of the Amazon marketplace with its search engine and millions of daily visitors? Read on. I’m about to share how I wrote, published and marketed my ebooks for Amazon Kindle. These instructions assume you know what topic you want to write a book about. Don’t skip the important step of doing market research on your topic. It’s a good sign if there are many other ebooks in Amazon in the niche – it shows there’s lots of interest. The key to happy customers and great reviews? Write an ebook that will give even more value to the reader than the competition. Before you begin writing your ebook, there’s an important step you need to take. Since Amazon doesn’t have a way for you to collect the email addresses of your customers, you need to collect them! How? Set up a page on your site with an opt-in box. Add that link to the first page or two of your ebook. Because the first couple of pages of your ebook can be downloaded by a potential customer as a sample, they’ll see that link. This means you may gain a subscriber even among those who don’t buy! With this simple step, you can increase the money-making potential of your ebook exponentially. For example, in my ebook, The How (and Wow!) of Habits, I invite readers to sign up for my newsletter and give them several habits-related printables for free. Even if they don’t buy the book, I’ve got them in my marketing funnel! At the VERY least, invite the viewer to visit your blog or keep in touch some other way. If you don’t have a newsletter system, I highly recommend Aweber. I’ve used them for a decade and love them. You can create unlimited autoresponders and newsletters for one price. It’s a great idea to create an upsell somewhere in your ebook. It should be of interest to your target audience. For example, let’s say you wrote an ebook about creating unit studies for homeschooling. Link to your own unit studies that are for sale on your site. Now that we have that done, let’s move on! 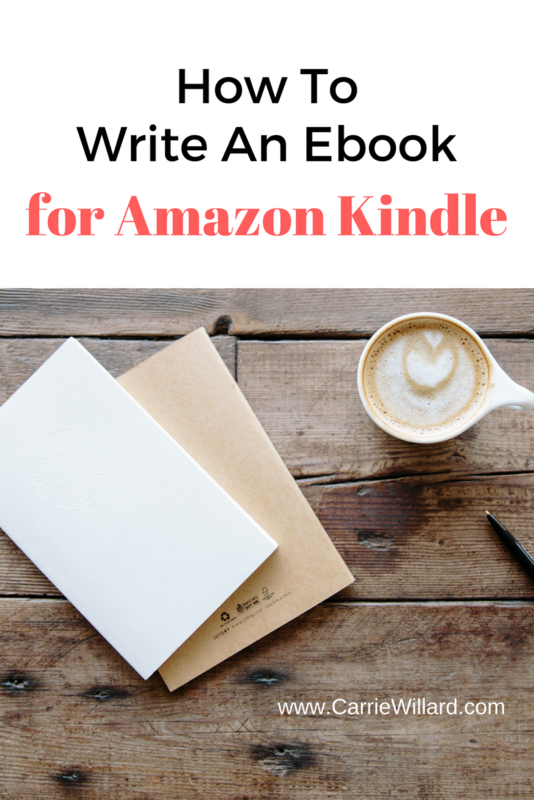 How to write and publish your ebook for Amazon Kindle. Outlining makes the writing process easier, faster and cleaner for the reader. Don’t skip this in your enthusiasm to get writing! You’ll spend far more time editing later if you don’t outline. An outline also shows up possible holes in your content and areas where you may need to strengthen your book. Note: early on in the writing process, find what keywords people are typing into search engines to find the information your ebook will be about. You need these keywords later on, to help you leverage the power of Amazon’s amazing search engine. Those keywords will be used in your ebook’s description and perhaps even in the title. People need to know, in an instant, what your ebook is all about and how it will benefit them. I use Google Docs to write my ebooks. I like this because I can access my Google Drive (where docs are saved) from any computer, and it automatically saves my work every few seconds. It’s also free. But you can use any word processor you prefer. When writing the introduction of your book, keep in mind that visitors to Amazon can download a “sample” for free. Be sure to put something exciting in the first page or two to draw them in and make them want to buy your ebook. Note: keep your formatting simple. Use headings and add a table of contents so your reader can navigate your ebook easily. Don’t add a lot of fancy fonts (stick to two or three commonly used fonts, tops). Unusual fonts may look terrible in an e-reader and scream “rookie”. If you’re using images, be sure to preview your book thoroughly. If you don’t know how to format using Google Docs or another editor, simply Google the query. For instance, “how to create table of contents Google Docs” will turn up specific instructions. 3) Do final edits and proofreading. I recommend that after you’ve done a couple of edits and proofread your book well, that you hire someone else to do this once again. I can read my book three times and think it’s finished, pass it off to someone else, and they’ll immediately spot errors. We have blind spots! Ask a grammar-enthusiast friend who will be honest with you to read your book. Or, hire someone inexpensively from Fiverr.com to proofread. Poor grammar, spelling errors and the like mean bad reviews. Download your final draft to your computer in a place where you won’t forget. Save another copy using whatever backup system you use (since I use Google Drive, my stuff is saved in the cloud). This way, should your computer have a hard drive disaster, you’re saved! You need to save two copies: one as .html, and one as .doc. Amazon accepts the .html version for Kindle. The .doc version is good to have on hand if you decide to create the book as a print version in Createspace, the print-on-demand service Amazon offers. Publishing your book on Createspace in paperback is a few mouse clicks. Amazon makes the process very simple. If you’re an excellent graphic designer or have an eye for design, you can create your ecover yourself. I always hire this out. I don’t have an interest in learning graphic design, and I probably have zero talent in that area anyway. I’ve used Wendy Wood’s services at Get eDesigns. She does great work at a very reasonable price. Tell her Carrie sent you! A great ebook cover is tremendously important. You will earn back the money you spend on a great cover in no time at all. Don’t skimp on this. If you do create your own, take time to study the covers of competing titles on Amazon. What drew in your eye? Which colors are popular? Why do you like a particular cover over another? Sharing this information with your designer will help them create a cover you love. Now for part two of how to publish your ebook for Amazon Kindle: marketing your ebook! Questions? Leave them below and I’ll answer! Thanks for this great step-by-step! Especially the first bit about making the email list!! I wouldn’t have even thought of that, but it is totally necessary!